Sometimes, the world is unfair. One of the most distinctive trademarks this blogger knows from his childhood is the "Button in the Ear" with the Steiff ear tag for Teddy bears and other cuddly animals. 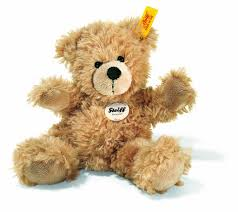 The Steiff Company has therefore been well advised to apply for a community trademark registration for this trademark. The trademark was labelled as a "position trademark" accompanied with the illustration on the left hand side. However, the members of the boards of appeal of the OHIM and judges of the European Court of Justice apparently do not share this blogger's experiences and have rejected the application due to a lack of distinctive character. 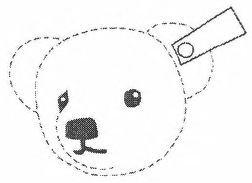 According to the court, buttons and little tags bearing information such as a brand, price or cleaning instructions are usual design features of cuddly animals and the Steiff ear tag does not differ from the design usual in this field to a sufficient degree. It appears that Steiff will have to provide evidence that the sign acquired distinctive character through the use which has been made of it.